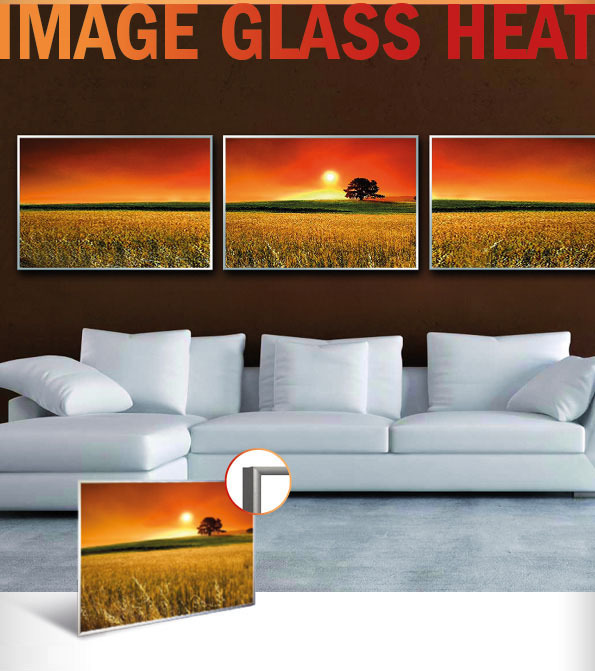 Infra­red hea­ting panel with a non-tar­nis­hing mir­ror sur­face made of heat-resistant custom glass, with or wit­hout alu­mi­ni­um frame. 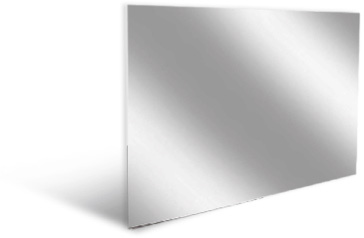 Opti­mum effi­ci­en­cy with 15 to 20% lower ener­gy con­sump­ti­on. 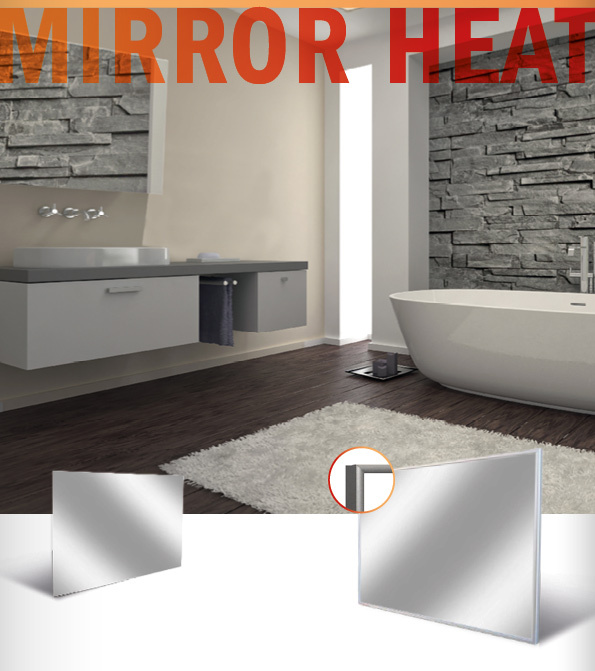 The MIRROR HEAT, with its pre­mi­um mir­ror sur­face, offers a cost-effec­tive, space-saving and visual­ly attrac­tive hea­ting solu­ti­on com­bi­ning two func­tions in one: an ener­gy-saving heat source for your bathroom, toi­let, cor­ri­dor or clo­thes cup­board plus all the qua­li­ties of a high-gra­de mir­ror that doesn’t tar­nish (when ope­ra­tio­nal). 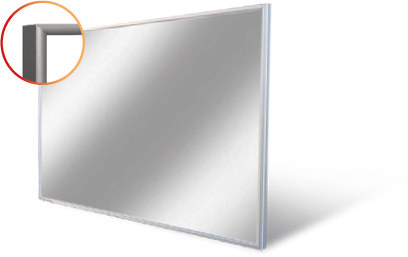 The polished, heat-resistant custom mir­ror glass sur­face of the hea­ting panel is enc­lo­sed in a light­weight alu­mi­ni­um housing. 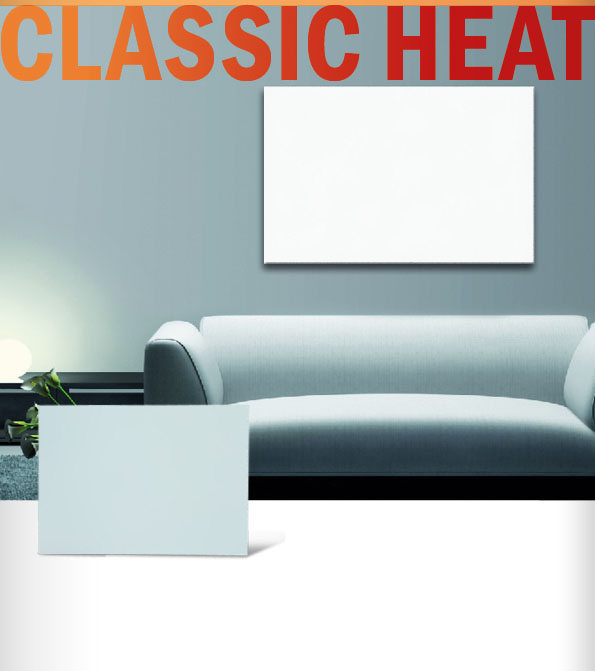 Insi­de the hea­ting panel, a power­ful hea­ting ele­ment and spe­cial inter­nal reflec­tor ensu­re even heat dis­tri­bu­ti­on. At the same time, hea­ting per­for­mance is increa­sed by 15 to 20 per­cent com­pa­red with com­pe­ti­tor pro­duc­ts at the same ener­gy con­sump­ti­on. A fur­ther dis­tin­guis­hing fea­ture is the mar­ked­ly lon­ger life­span of the hea­ting ele­ment. 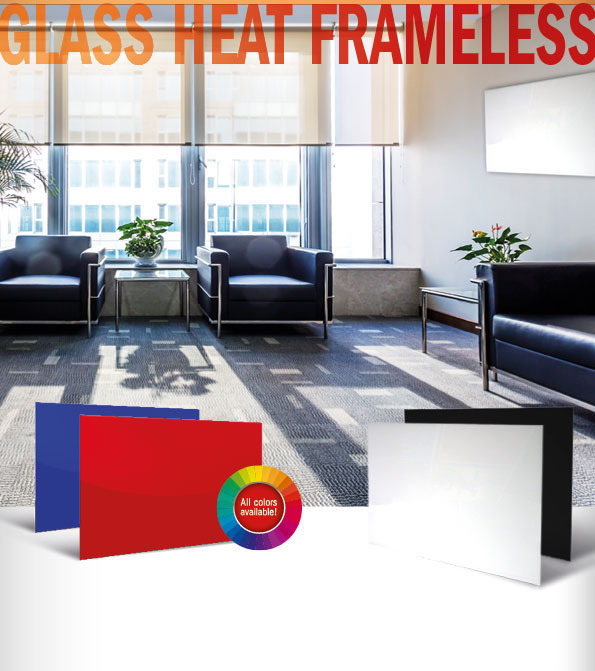 With the same con­struc­tion and finish as the Mir­ror Heat, the Frameless model offers a lar­ger reflec­tive sur­face due to the absence of the frame.